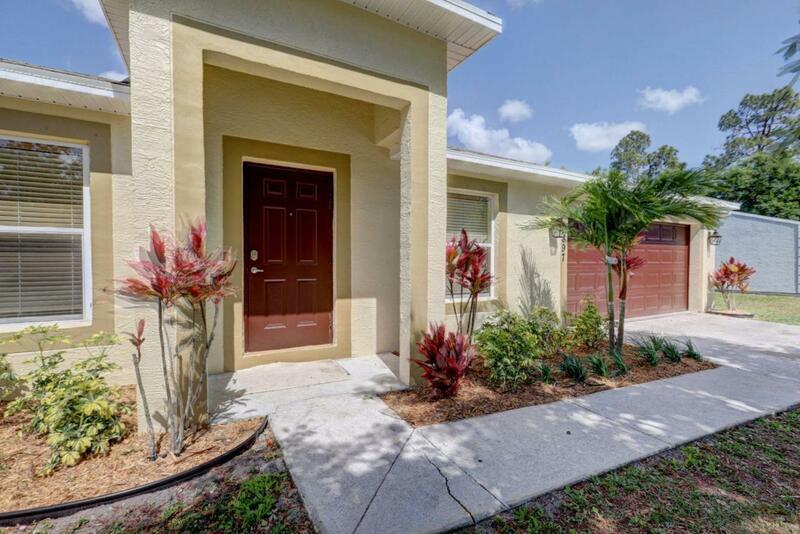 Spectacular 4 bedroom, 2 bath home with 2360 living sqft. Verry open split floor plan with high cathedral/vaulted ceiling. Diagonal 20/20'' tile in main area and new 14c thick wood flooring in bedrooms contribute to the already spaceous and comforting feel. 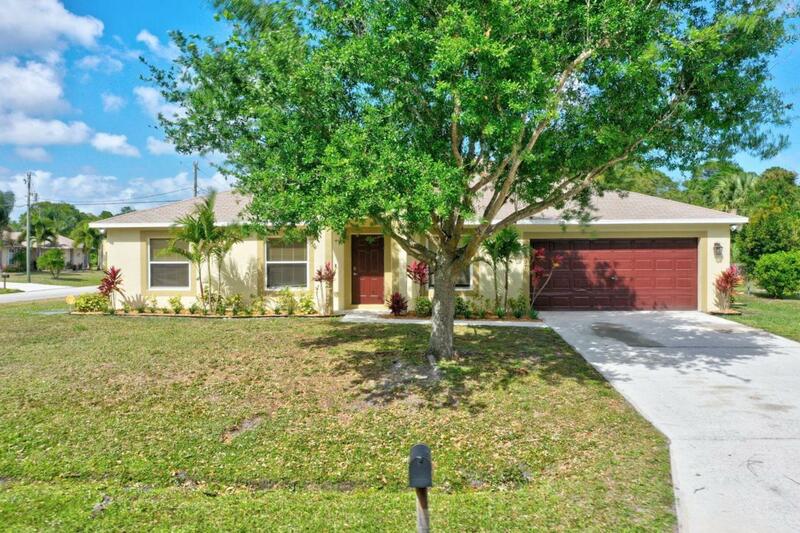 This remodeled home boasts new level 2 matching granite counter tops in kitchen and baths, all new appliances including wine fridge, washer & dryer, all new light fixtures and fans in all rooms and exteriors, new cabinets and vanities in baths, new A/C system (3/2019), painted inside and out. Home sits on an oversized corner lot with 12,500 sqft (.29 acres). Huge back yard. 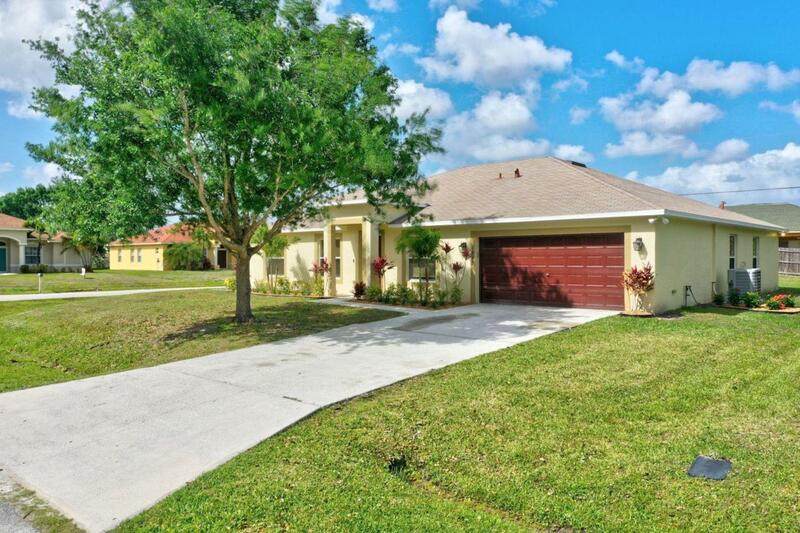 Great location, walking distance to Oak Hammock park for your local hicking and boating. 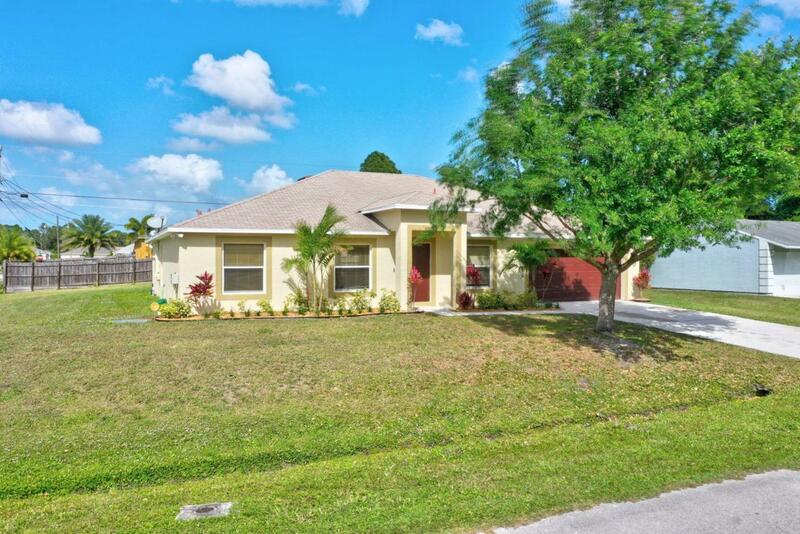 Close to St Lucie West, Mets stadium, shops, restaurants and great schools.